Following a competitive review, Direct Auto & Life Insurance has named bicoastal, full-service creative agency Pereira O’Dell as its new agency of record, effective immediately. The account will run out of the agency’s New York office. 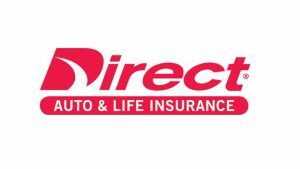 Founded in 1991, Direct Auto & Life Insurance sells personal auto insurance and other types of coverages online, over the phone, and in-store at more than 400 retail locations across the Southeast and Midwest. As agency of record for Direct Auto, Pereira O’Dell will lead the brand’s national and regional creative across all media, creating an integrated online and in-store experience. The agency will also lead Direct Auto’s rebrand as it looks to evolve and modernise not only via traditional advertising, but also through business innovation. Pereira O’Dell’s first work for the brand is expected to hit the market in June. “When you look at the insurance category today, there are great examples of companies who have been successful using creativity to create a strong brand awareness and perception. We’re excited to do just that for our new partners at Direct,” said Cory Berger, Managing Director, New York, at Pereira O’Dell. Pereira O’Dell brought its creativity and innovation in an array of verticals since its founding and has expertise in the auto space, with MINI on its current roster. “For us, it was all about finding the right fit. Pereira O’Dell demonstrated a deep understanding of our brand, our ethos, and our commitment to customer service. We’re excited to partner with such a dynamic, world-class agency to expand our stake in a crowded market,” said Direct Auto’s Vice President, Customer Experience and Brand Innovation, Kevin Fairchild.